Hi everyone! I hope you are having a great weekend celebrating the birth of our country!! 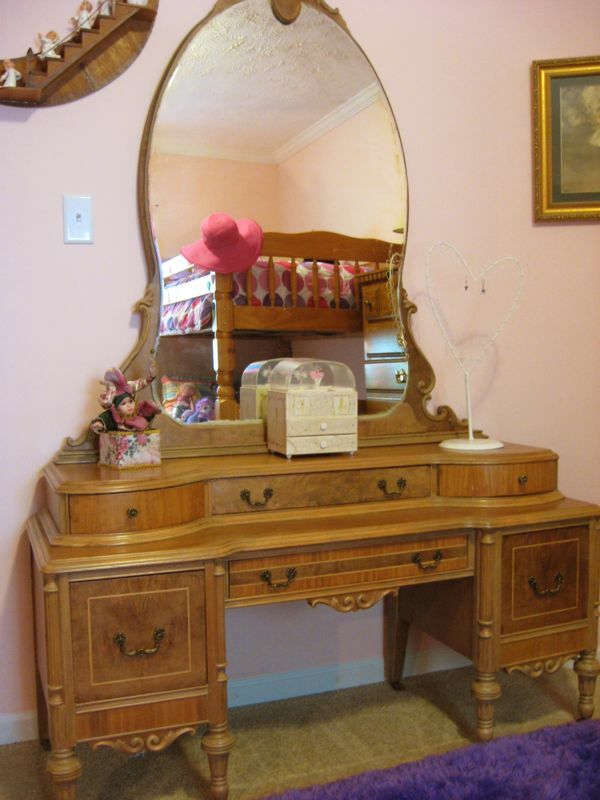 I wanted to give you a peak at one of the furniture pieces in the girls' room that I stripped and refinished. 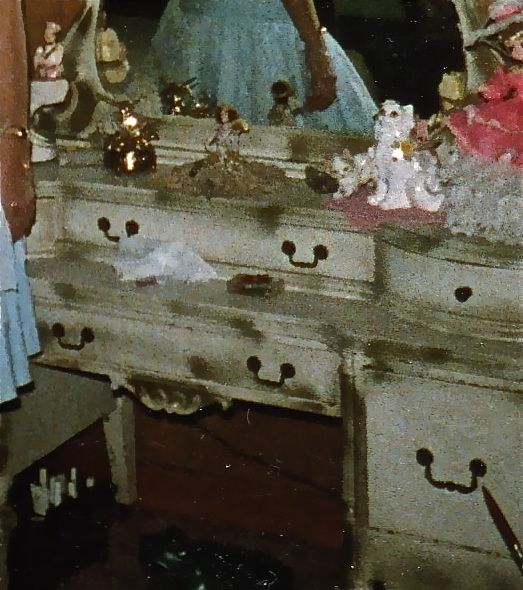 This was my grandmother's dresser, and I always loved it. It was always white with gold trim and sat very happily in her pink bedroom. I was lucky enough to get it several years ago. The only before shot I have is this very grainy snap, but you can get an idea of what it looked like. 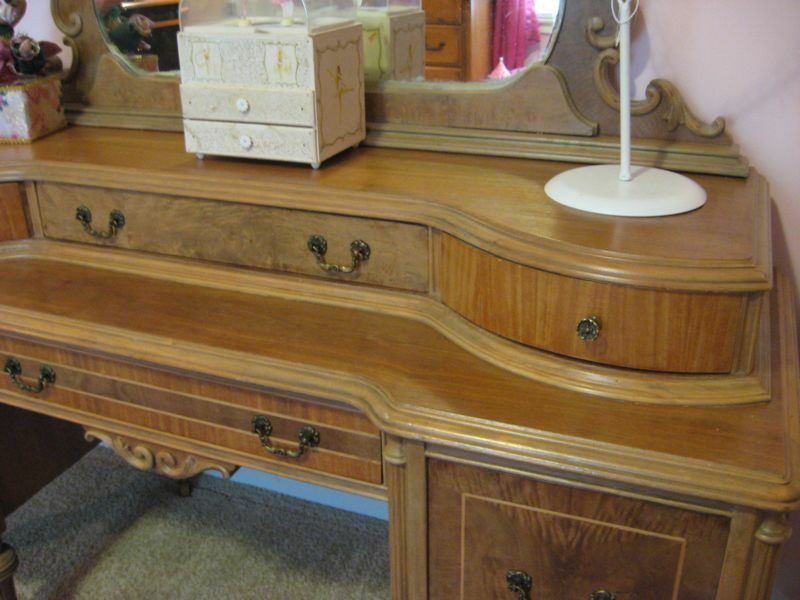 This was actually the first piece I stripped and refinished. I have to say it was not easy, and I SO wanted to give up. It is a very tedious process, but well worth it if the wood underneath is good. In this case, it was. Here is what I used...I find it at Walmart, but it is available on amazon.com. I have never found this anywhere else. 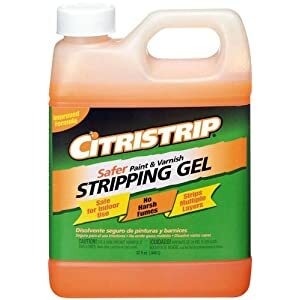 I prefer using products that are water based if possible, and this is just the best, safe stripper I have found. I used a satin finish because I didn't want shine, and this has held up very well. Unfortunately, I do not have room to use it myself, so my 11-year old, who is named for my grandmother, is using it. She is loving it! I had to be really careful with this veneer while stripping the paint, but it held up very well. I hope you've enjoyed seeing my old dresser which has been given a new lease on life! It's part of my "worst room" makeover which I will be posting this week. so be sure to go by there and take a look!! WOW, what a beautiful piece of furniture...your daughter must be so happy it didn't fit in your room! my jaw dropped when looking at the after pics! Beautiful piece of furniture and you made her gorgeous. Very nice that you have this piece in your home being used by a loved one. You have done a fabulous job, who would have thought that there was such lovely wood under the paint! Great piece and your work certainly paid off - it looks beautiful! What a labor of love! It turned out beautifully! 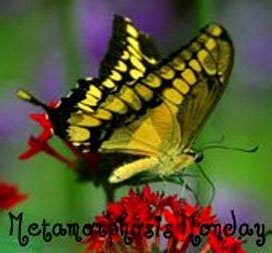 Visiting from Metamorphosis Monday. What a wonderful job you did. I love white but I'm glad you kept its natural finish. Does it have a dresser bench? If not, maybe someday you'll find one that will do justice to the dresser. Anita, this is a lovely piece and so special because it was your Grandmothers. You did a great job in the finish. I don't like shiny finishes either so I usually just finish my pieces with a clear wax. I love the old world look it imparts. With the painted furniture craze, I am surprised that you didn't just paint it, but Wow the wood veneer is burled and so beautiful. This is an amazing and valuable piece. So glad that you bucked the trend and stripped it. Beautiful. What a great job you did. Its simply lovely!!! Just gorgeous Anita……a labor of love. 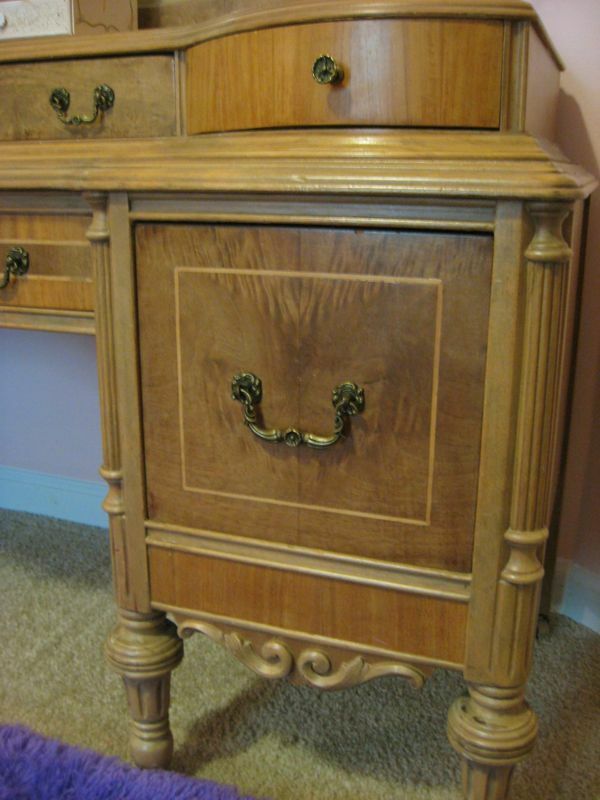 Furniture restoration like you did so bravely tackled is tedious, hard and time consuming. I did my husband's grandmothers dresser for our first born and now our youngest is using it. I love heirlooms. You did a fantastic job! Bravo!I l Love all the drawers and details. Thanks for sharing…….Happy and safe Fourth of July. Anita!!! That looks amazing! You go girl! Anita, what a beautiful treasure you have! I can't believe how many layers of paint you had to strip. You did a wonderful job! 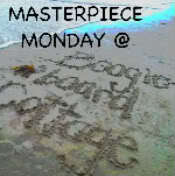 I hope you'll stop by and check out the info on my sidebar... I'm having a Vintage Linen & Dish Auction to celebrate my first year of blogging! Everyone's invited! This piece turned out lovely. All your time and hard, hard work definitely paid off! How refreshing to see a nicely done wood piece. You did a great job. I paint a lot of furniture, but when it is possible to save beautiful wood, I do. I'm so glad you did as well. That is great!I would have been so worried about what I would find underneath all that paint! 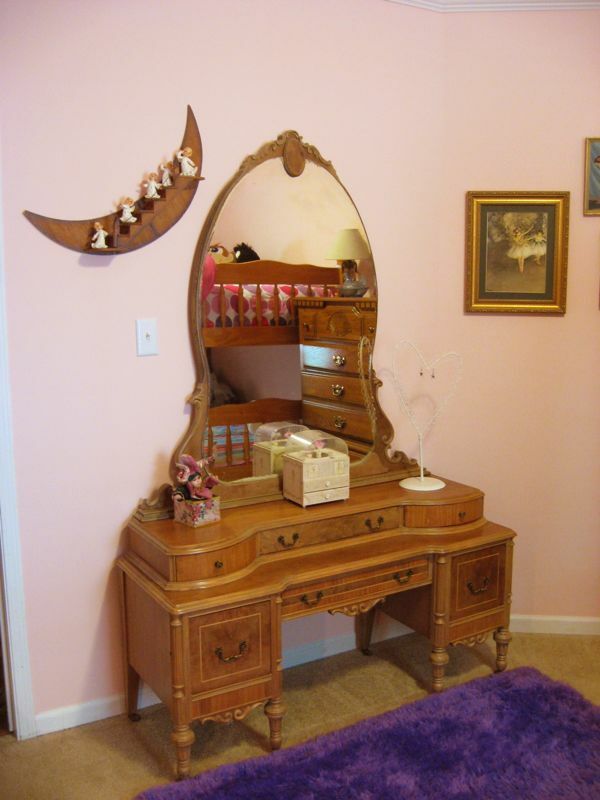 Your daughter is so lucky, Iwould have loved a dresser like that as a little girl! Beautiful! And to think someone covered all that pretty wood with paint.